Email us to get your photos/video added here. 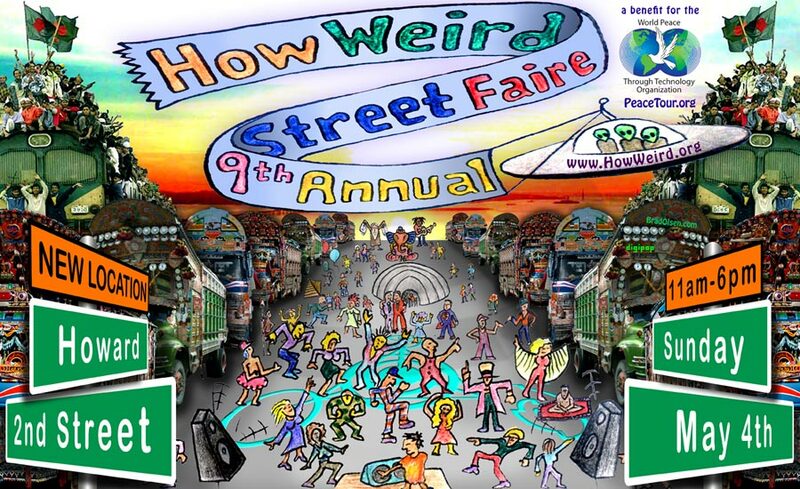 Click here to listen to the 2008 How Weird Street Faire RADIO PSA. At six great new venues located at the new site. See the website for full details... How Weird Dot Org. benefit for the non-profit World Peace Through Technology Organization.